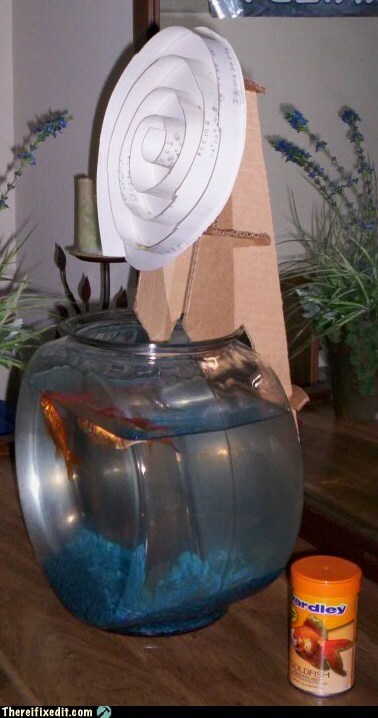 Keep your fish fed on time with a spiral feeder! Cut a circle of cardboard or card stock and cut a long strip of cardboard. Curl the strip of cardboard in a spiral and glue the spiral onto the circle. Glue the circle onto the hour hand of a clock, cut and fold a piece of cardboard to make a stand for the clock to hang the spiral over the aquarium and pour fish food along the spiral.